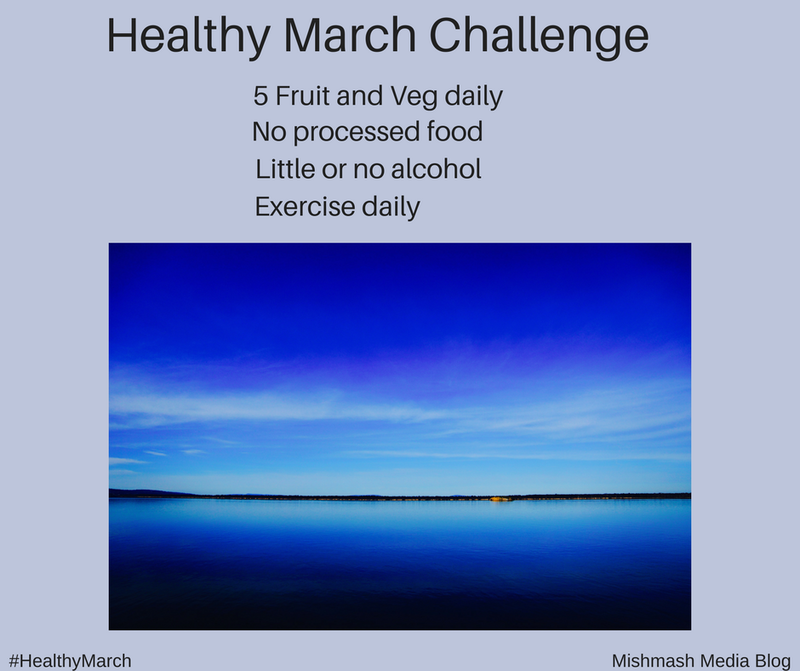 The aim is to become fitter, leaner and healthier this month by following the above challenge. Are you in? Breakfast and lunches can incorporate plenty of fruit with some green veggies such as spinach (breakfast) and lettuce (salad lunch). Suggest eggs for breakfast because they are filling and salads with protein (fish, chicken or eggs) plus a potato or couscous. A healthy evening meal such as a meat or fish stew is always tasty and can be eaten for the following two or three days, if necessary. It is a good idea to keep an eye on sugar intake because it is hidden in tomato sauces, fizzy drinks and processed foods. So obviously it is better to not have processed foods and enjoy cooking your own food. The odd glass of wine is OK, but not too many. I find this tricky as it interferes with a social life. However, we must give it a try. Oh, and don’t forget to drink about 6 glasses of water every day. Oddly enough, for me, exercise is the easier part. Suggestions for this includes gym, running, walking (city and country), swimming or whatever you enjoy most. I will update progress and any comments below (with your blog links) are welcomed. I’m doing the old Weight Watchers plan I lost 70 pounds on 20 years ago. That was back when you just basically counted points and it didn’t matter what you ate (as long as it wasn’t really high in fat). That is, to date, the ONLY thing that works for me. 15 pounds down…but I still have about 15 to go to be my goal weight-ish. The problem for me is being at work and not having the ability to make fresh foods. Yes,it can be difficult. Veggie soup, in a flask, or cold/warm salad, jacket spud, rice, etc. I’ll do a post on food at work. Thanks A.